Product prices and availability are accurate as of 2019-04-21 01:13:50 UTC and are subject to change. Any price and availability information displayed on http://www.amazon.com/ at the time of purchase will apply to the purchase of this product. Reviewing The Black Keys 2010 Top Ten breakthrough album Brothers, Rolling Stone called the duo a two-man combo with a big-band mind. That description seems downright prophetic now. With the hard-rocking El Camino, The Black Keys fourth Nonesuch disc, guitarist-singer Dan Auerbach and drummer Patrick Carney conjure up an exhilarating, stadium-sized sound in collaboration with producer and friend Danger Mouse. El Camino boasts a no-nonsense brilliance: The pace is fast, the mood is upbeat, the choruses unfailingly addictive made for shouting along, preferably in a large, sweaty crowd. A band already at the top of its game has gotten even better. And The Black Keys have done pretty damn well so far this year, with three 2011 Grammy awards for Brothers under their belt, an MTV Video Music Award for Tighten Up, more than 850,000 copies of Brothers sold in the U.S., and upwards of a million units worldwide, plus innumerable licensing placements in film, TV, and commercials. El Camino features one stand-out track after another, such as first single Lonely Boy, Gold on the Ceiling, and the surprising, acoustic-guitar-driven, tempo-shifting Little Black Submarines. . This record is more straight ahead rock and roll raw, driving, and back to basics, says Auerbach. As Carney has put it, The Black Keys respect the past while being in the present, and that formula has made them sound like nothing less than the future of rock and roll. While the largely self-produced Brothers, recorded at the famed Muscle Shoals Studio in Alabama, had a more soul and blues-oriented sound, El Camino often recalls the blitzkrieg-paced British-style rock of the 1960s and 70s, post-Beatles and pre-punk: artists like T-Rex, The Sweet, and Gary Glitter, along with the heavier swing of such bands as Led Zeppelin and Black Sabbath. The references are there, but the sound is very much contemporary and utterly their own, equally informed by The Black Keys passion for hip hop and R&B and bolstered by the atmospheric production approach of Danger Mouse (a.k.a. Brian Burton), who was behind the boards for 2008 s Attack & Release and collaborated with them on the funky Tighten Up for Brothers. As Auerbach notes, "Brian understands all the different kinds of music we're into. He's got really great ideas about melody and song structure. For him it's all about the song." Also rejoining them is consistently innovative mixing engineer Tchad Blake, who Auerbach calls a genius with audio, a complete wizard. 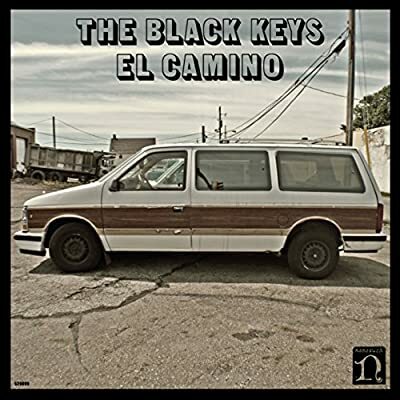 El Camino arrives just in time to serve as the ideal holiday gift for The Black Keys rapidly growing fan base. It came together quickly in an unfettered burst of creativity by the hard-charging pair. 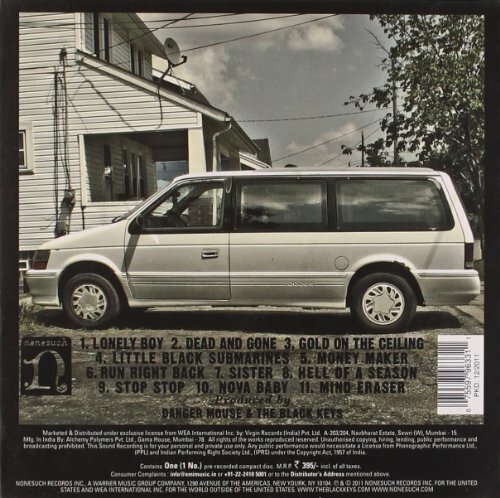 They recorded these 11 tracks between tour dates for Brothers at Auerbach s new Easy Eye Studio in Nashville, where he and Carney have now relocated after years of working in their native Akron, Ohio. The duo plans to embark on a six week European Tour at the start of the New Year, with U.S. dates to follow shortly thereafter including several arenas. In a time of global austerity, The Black Keys work simply and efficiently, with a minimum of tools and a wealth of ideas, to produce the richest, fattest, coolest music around. Upon the release of Brothers last year, Britain s Uncut magazine called them one of the best rock n roll bands on the planet, and El Camino, confirms that.